The TCXS is a set of multifunctional 16-channel transceivers that includes two TCX transceivers. 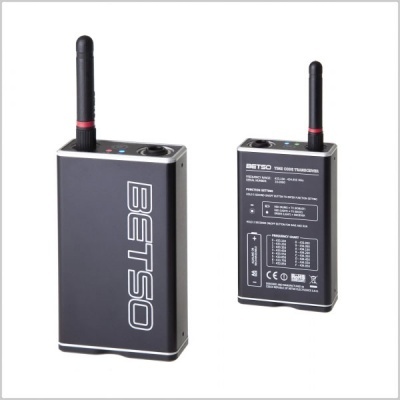 The BETSO transceiver TCX is 433 MHz ISM band-operated 16-channel time code transceiver, which can be easily switched from reception to transmission mode. Its body is made from anodized, CNC milled aluminium alloy, which ensures high durability of the TCX device. Top quality RF circuitry offers long range performance and a very long battery life. 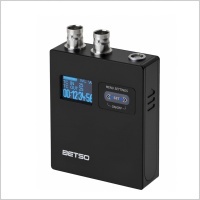 The Multifunctional 16-channel transceiver BETSO TCX supports all existing frame rates in the range of 23.976 fps - 30 fps (both drop frame, and non-drop frame formats). Additionally, it can handle up to two times the sped up time code, so that the real time code frame rate capability is 23.976 fps - 60 fps (both DF and NDF formats). The Input time code format is recognized automatically. 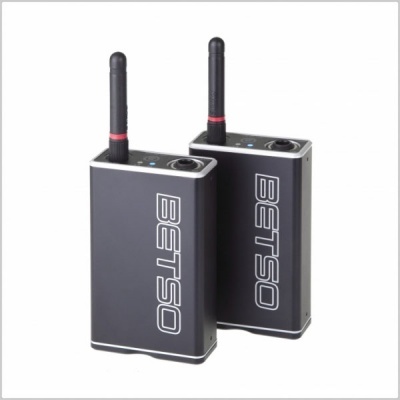 Standard time code signal transmission mode allows the configuration of two multifunctional 16-channel transceivers (BETSO TCX) to work with one time code signal transmission. 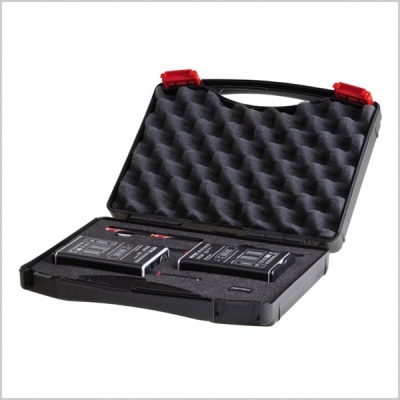 This set of multifunctional 16-channel transceivers can be used with any other wired or wireless device which processes an SMPTE time code signal. 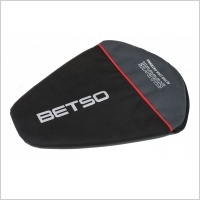 This standard facilitates BETSO TCXS operation at a distance up to 350 m in the conditions of direct visibility. The multi-channel topology of the TCX device offers the possibility of operating up to 16 independent time code wireless networks at once in the same place. The benefit of multiple channel options is also the possibility of switching to free channel, if the currently used channel is being interfered with by noise or other electronic devices. 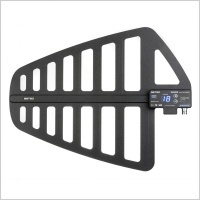 (16-channels in Frequency Band 433.15 - 434.65 MHz). 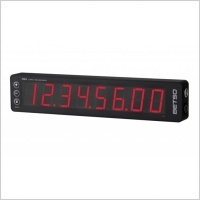 On one channel, at any moment, it can operate one TCX set to time code transmitter mode, an unlimited number of TCXs set to time code receiver mode or unlimited number of WTCS time code slates. 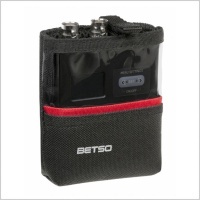 Channels may be chosen when the battery door is opened by using the mini screwdriver tool which is included. The operating time of the TCX time code transceiver is up to 35 hours in time code transmission mode (from one AA battery or accumulator). Additionally, a Smart Power saving feature, during SMPTE time code Paused Mode or during inactive time code input was implemented. 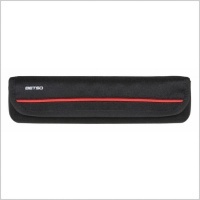 This can increase battery life up to 8 times when these modes are used during the TCX operation. Low battery indication feature is indicated by continuously shining red LED diode and will self-activate when battery levels are low.